Watch Not So Sharp's Unbelievably Beautiful Rendition Of "Secret Love Song"
I can't help but to feel that Not So Sharp has given us a hit song for the next big movie soundtrack. 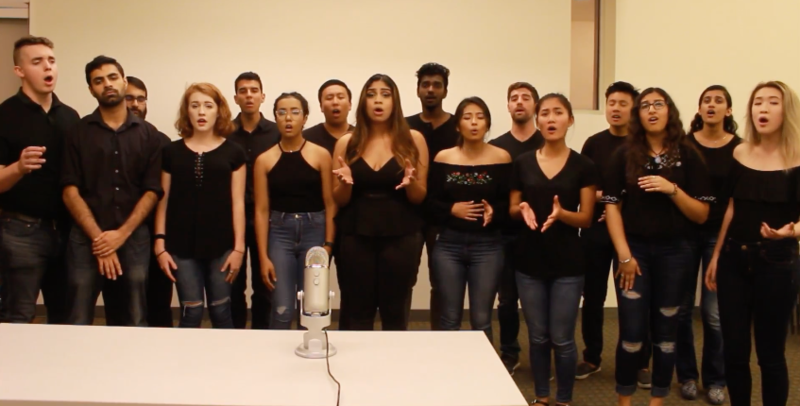 In the group's performance of Little Mix's "Secret Love Song" listeners are treated to not one, but four incredible soloists, all with four unique timbres and styles, as they lend their voices to a powerful ballad. A beautiful ballad that sounds and feels like it comes at the climax of a blockbuster romance. This is a testament to the support of Not So Sharp's backing group who are just solid in their execution of creating lush chords with colorful movements. It's a simple yet impactful performance that you cannot help but love.